Just had the jeep in to have the rotting subframe replaced. They called to say we were responsible for parts if they break them during the change...WHAT???? They break a part and we pay for it. No responsibility on their part. Not on my watch. I told them to finish up what they needed to do and get the car off the lift. The service Manager Lisa Watson was rude as I tried to explain a few things to her. She continued to cut me off and wouldn't let me speak. I had to tell her twice to let me speak. They need a complete reset of their service department. I do not understand how they have been able to keep customers coming back with this level of sub poor service. Bought a used Jeep 5 years ago from them. They assured us everything would be handled promptly to have all the vehicle details moved over to us. 5 years later we find out that they never did change the name or address of the owner to us, so the previous owner has been receiving all the recall notices. Now we find out the sub frame is rotting out and a notice had been sent out to say that the warranty for that is extended to 10 years. The sub frame holds many pieces of the vehicle together and as it rotted, other parts of the vehicle started to fail. The tires bought last year are now bald on the inside as the primary support rotted resulting in the tires leaning out at the bottom. They will fix the sub frame but will not take any responsibility for the other parts of the car that are failing such as the tires. They said that if we had brought it in regularly, they would've seen the rust. Well, we would've brought it in regularly if we got the recall notices. So their error results in us having to buy new components on the vehicle. Their incompetence results in other problems with the vehicle and we have to pay for those other problems. 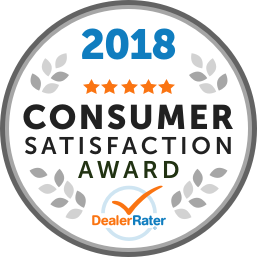 My recommendation is you stay far far away from this dealership as they do not stand behind the product they sell or will make amends for their errors. Shame on them. We will never buy another vehicle from them due to this debacle or ever go to their service department ever. They are the worst dealership you could ever deal with. Just Stay Away!!!! I was hoping to ignore this and go on with life however we still to this day are finding issues since our roof leaked early this year that now aren't covered under warranty. Our sunroof had leaked over a course of a few days that we hadn't used our van so the amount of water in the van was close to an inch in the cup holder and soaked seats. When I phoned to book it in I said how bad it was and that I would need a ride back home and would need to fit 3 possibly 4 carseats. When I showed up they had called a taxi so I ended up being stuck there for many hours with 3 kids and no sncks or anything as we planned on going home. When they said my van was ready I went to get in and noticed everything was still drenched. I had to ask them what they were going to do about everything that was soaked. They hadn't even looked at the damage just the sunroof. So in we go again for a second trip to get a nea roofliner, get the electronics looked at and seats fixed ( all of which I had to specifically ask to be looked at). It took a fea days but we at least had a rental. I pick up the van come home and my husband points out all of the handprints on the new headliner....front to back, all over the windows and door handles....so in we go again just to have them look and book an appointment to clean the liner....not so much as a sorry for your inconvenience. It gets cleaned. After all of this I noticed the van had a strange squeeking but only when I was driving. Sure enough we finally figurs out what it is....MY DRIVERS SEAT IS NOT BOLTED DOWN. once again not so much as a sorry. Since this we have had a few things not work and called Dodge Customer Care to see what our options are for fixing and we are S.O.L because Glassfords didn't even keep proper records of these fixes and warranty is now out. Never again will I trust them with my vechicles. "Honest, fair and professional. " This is the second Jeep Grand Cherokee I have purchased from Glassford's again the team provided me with great pricing and a high level of professionalism. Thanks to John Glassford for finalizing the deal and to Chance for his professionalism and enthusiam in closing the deal. We will always look to Glassford first for any purchase. "Looked after us in a friendly timely manner." We were unsure of what type of Jeep we wanted when we went to he dealership. The salesman, Dave McLaren, was very helpful in the explanations, and patience when we took one vehicle out for a drive, then another, then back to the first one etc etc. We were so wishy washie with our thoughts of what we wanted in a new vehicle , I'm sure the salesman just thought we were just killing time between appointments. Overall everything went smoothly in the end. The dealership had everything all finalized for us even though we had to move up the timeline for pickup of our vehicle. I recently purchased a used vehicle from Glassford Chrysler and was very happy with the experience. The sales representatives are friendly and don't pressure you to purchase. The overall experience was very good and I would recommend Glassford Chrysler to anyone looking to purchase a new or used vehicle. "Was very impressed by the attitude of everyone!" 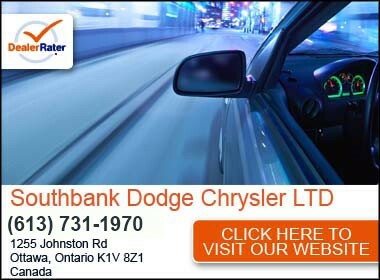 I went to look at a Chevy Tahoe on Family day because they were closed..haven't bought a vehicle in several years..I knew what I was looking for and didn't want to be pressured by the"used car sales guy" I went back a couple of days later and was greeted by JD Morrish...I was very impressed by his professional and friendly approach...he certainly didn't try to bs me on the truck..he knew what I was looking for and did everything in his power to make my buying experience the best it could be!!! He introduced me to everyone else in his department in case there was something that he wasn't able to answer...they were very pleasant and willing to help deal with any issues that I might have..a great team environment rather than the cut throat sales I have seen in the past! Thanks guys and would buy from there again!!! "Sold my Dodge Ram to Glassford Chrysler"
Sold my Dodge Ram to Brennan Mcfarlane he was a pleasure to deal with and made the whole experience easy! Would be the next dealership I would look at if I was purchasing another vehicle. Thanks again. So very long story short, we tried to buy a vehicle and found some major work was required during the test drive. Made an offer of list price less 1%. On condition the issues were corrected. Used manager would not accept. Said he could not move on the price due to the repairs. We really liked the vehicle and it was exactly what we wanted. Offered list price less .5%. Salesman told us the vehicle was no longer available. Which we took as it was sold. A friend of ours went in two days later and test drove the vehicle. When he asked if there was anything wrong with it, the salesman said no nothing at all. Very Shady as it looks like they want to sell it without having to fix it. You be the judge.